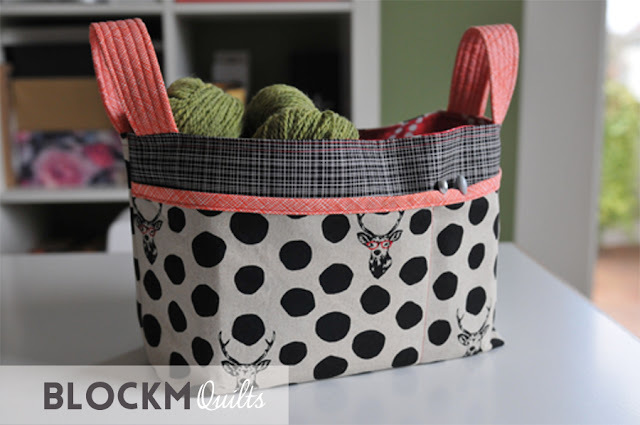 block M quilts: Divided basket - check! 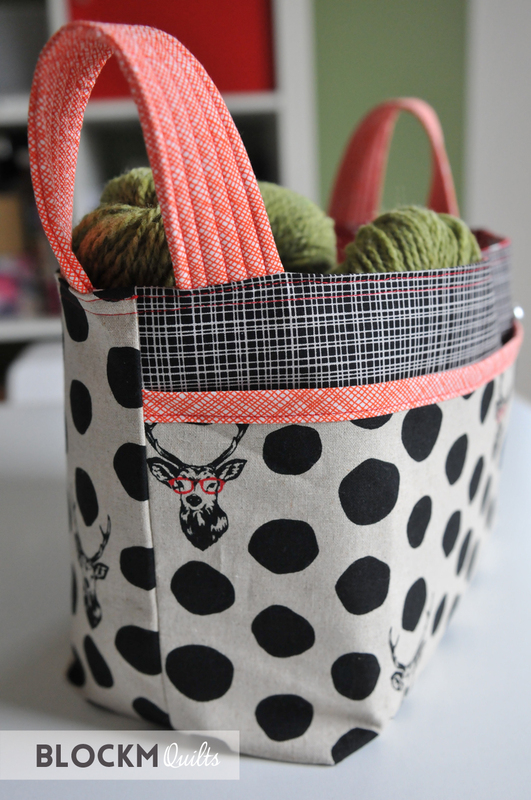 I can strike off the second project from my goals for 2016: the Noodlehead divided basket. I had actually planned to make my best friend one for her birthday but thought I should try this out before I do hers. It turned out really nicely. I will use it for my crochet projects and wool. I bought this pattern last year already and didn't dare to start it. I'm not sewing for that long and I honestly am very confident quilting but everything else, especially curved things and things I need to cut from templates, scare me a little. I was basically looking at this pattern the way a bunny stares at a snake! I should trust my own sewing abilities a bit more!! I used the beautiful fabrics designed by Etsuko Furuya for Kokka, I just love the deer with the red glasses! Accompanied by the beautiful red cross hatch fabric by Carolyn Friedlander. For the inside I opted for the red pearl bracelets by Lizzie House and some mixed glasses fabric, all to go with the main outer lining fabric. Love it! The basket for my friend is also finished and I'll post photos of it soon! 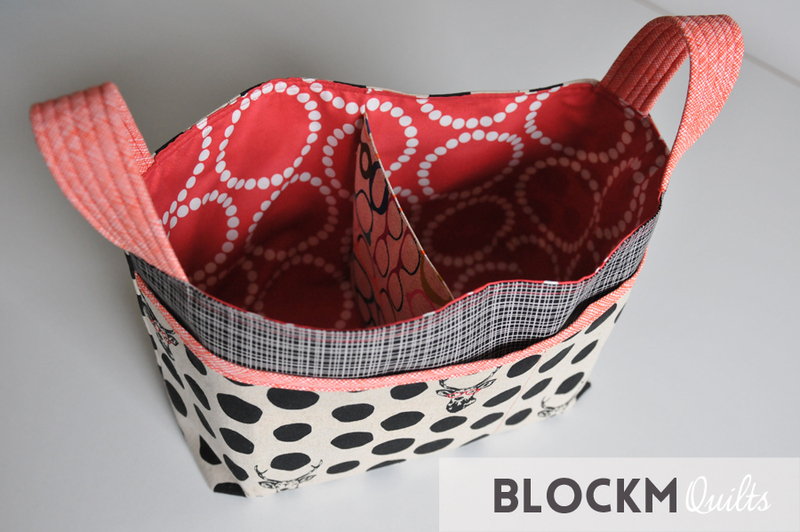 Linking this with the Cologne Modern Quilter 'Modern Patch Monday'! And to Finish up Friday at Crazy Mom Quilts! Very nice with this fabric choice ! I saw a few versions of that pattern and I'm thinking about making one for myself. Thanks,Sophie! These baskets are so great, and bigger than I thought. I highly recommend making one for yourself or as a gift! It really felt so great finishing this basket, I tell ya! I have this one my to do list, perhaps I should just jump in? Lovely fabric choises! You should, it was done in one Saturday afternoon and actually more fun than I thought! This turned out so lovely! Wonderful fabric choice, I really love it! Thank you so much, Sandra. I like it a lot, too! Liebe Daniela, Dein Körbchen ist ja richtig schön, von denen kann man nie genug haben! I love your basket and the deer with the red glasses is just lovely. I love the deer with glasses! Great project! Yes, you should trust your abilities much more - this is amazing! I love the glasses inside to coordinate with the deer! 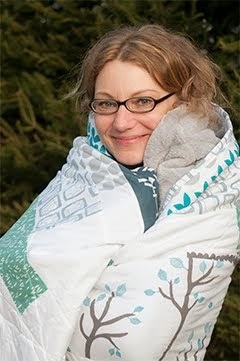 :) I think I need to get this pattern! OMG I love the fabric. That is such a lovely finish - well done! !